I hope you followed my advice in Week 1 for your cash games, because if you did, you won money. But now I’m back to help you out in Week 2 of the 2016 NFL season! So, without further to do, here are my suggestions for the Best Daily Fantasy Football Plays for Cash Games for Week 1 contests, along with they’re prices on Fan Duel (“FD”), Draft Kings (“DK”) and Yahoo! Daily Fantasy (“Y!”). There’s plenty of QBs to pick from, but I don’t tend to take too many chances at QB for cash games because they’re so important for anchoring your team’s performance, so I’ll give you three “safe” choices, then one that’s more of a gamble if you’d prefer to take chances on QB and spend money at the other positions. 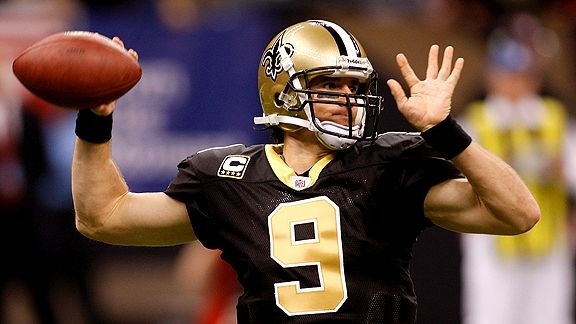 First of all, Drew Brees put up 423 yards and 4 TDs with no INTs in Week 1, leading the NFL in all three stats so far. Second of all, this game has the highest over/under by far of all the Week 2 games at 53 with the Giants favored by just 4.5. That means that this matchup should be a shoot out with lots of scoring opportunities, which of course is good news for all your Saints, but particularly Brees. What more do you need to know? Lock him in and enjoy the ride. As I mentioned last week, in 2015, Derek Carr was a solid QB being tied for the 7th most passing TDs (32) and the 13th most passing yards (3987). And so far, we’ve seen a nice progression in 2016. Carr completed 24 of 38 passes for 319 yards, 1 TD and 2 two-point conversions in an impressive comeback victory over the Saints. He’ll have another good matchup this week against a weak Falcons secondary and one of the higher over/unders at 49.5. Go ahead and let it ride. If you want slightly cheaper exposure to the highest over/under game of the week, why not Eli Manning? Eli managed to put up only 207 yards, but managed to put up 3 TDs in Week 1. With Victor Cruz back, OBJ still firing on all cylinders, and Sterling Shepard looking like the real deal, Manning will have plenty of opportunities to put up multiple TDs in this potential shootout. Now for my weekly heart attack special, if you want to save money at QB and go high end elsewhere, how about old-than-new-again QB, Josh McCown. After a serious injury, RGIII is on the shelf again, meaning McCown gets the reigns back under center. McCown is nothing special, but he’s a solid QB with solid weapons including Corey Coleman, Terrelle Pryor and Gary Barnidge. Baltimore has a great pass defense, but McCown will have lots of motivation to keep throwing the ball as the Browns are likely to be behind early. Pure volume and price drives this value, but don’t be surprised if he goes belly up with a couple INTs. As usual, RB is a position where I want some “guaranteed” volume. And by that, I mean we need 10+ touches to even be considered. So here are my thoughts. There was a lot of hype surrounding Ezekiel Elliot in the off season, particularly with that grade A offensive line. And he did salvage his first week of 50 yards with a TD. 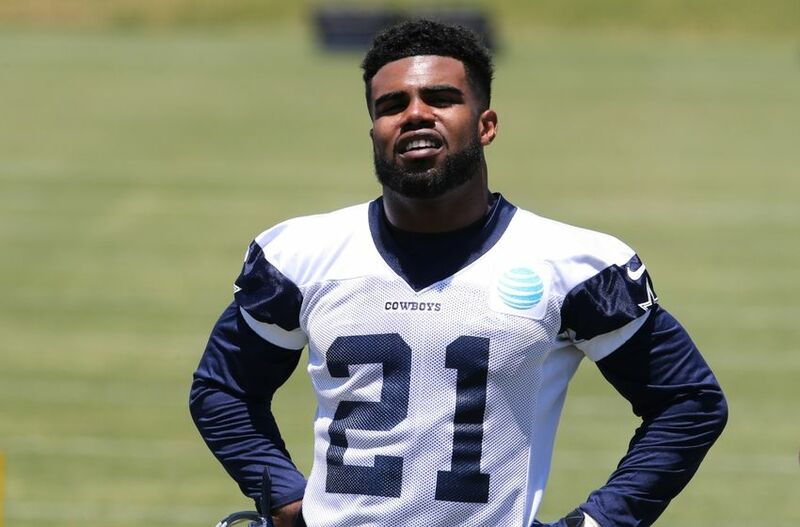 But more importantly, Elliott had 20 carries in Week 1 and will get similar volume against a much weaker Washington run defense in Week 2. I have a feeling that he’ll manage a few extra yards this week. No Le’Veon Bell? No problem! 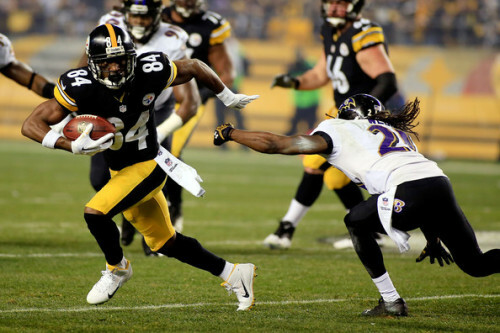 DeAngelo Williams totaled 204 rush yards and 3 TDs when he subbed for Bell in the first two games of 2015. And he did it again in Week 1 when he rushed 26 times for 143 yards and 2 TDs, adding 6 receptions 28 yards. Cincy has a better defense, but I think he’ll be able to top 100 total yards with a potential TD this week anyway. If Jamaal Charles fails to suit up again in Week 2, then I wouldn’t be surprised to see a repeat of what Spencer Ware did in Week 1, where he totaled 199 yards and a TD. He does currently have a sprained toe, so I’d keep a close eye on that, and the Texans run defense is better than San Diego’s, but he’s excellent value if he starts. Speaking of the San Diego defense, although I doubt that they’ll allow T.J. Yeldon to grab Spencer Ware numbers in Week 2, I wouldn’t be surprised to see Yeldon eclipse 100 yards if Chris Ivory doesn’t recover from his mystery illness. He managed 69 total yards and a TD against a respectable Green Bay defense in Week 1 and he’s another great value here if he starts. Remember, in DFS, you not only want yards, you want receptions. So with that in mind, here’s my thoughts for WR plays. Again, does this really need any explanation? His 8.5 receptions per game average in 2015 was tied for most of any reciever in the NFL. And in Week 1, he picked up exactly where he left off as he snagged 8 of 11 targets for 126 yards and 2 TDs. Insert. Win. Repeat. Drew Brees loves Brandin Cooks. Cooks managed to grab 6 of 9 targets for 143 yards and 2 TDs. And as I said above, this game has the highest over/under of the week. People were concerned that Kelvin Benjamin would be rusty after a year off rehabbing an injury, and might have even lost targets to second year WR Devin Funchess. Turns out, Cam remembers his old friend fondly and targeted him consistently throughout the game. San Francisco’s defense isn’t as good as we saw in Week 1, LA’s offense is just that bad. I think the Panthers will be looking to get back on track, and putting their foot on the breaks isn’t part of the plan. And if you want slightly cheaper exposure to the game, I think Willie Snead will get his fair share of opportunities in this potentially high scoring affair, particularly in light of his Week 1 explosion where he caught all 9 of his targets for 172 yards and a TD. Although Demaryius Thomas is expected to play through his balky hip, he was clearly limited in practice both Wednesday and Thursday and was far short of 100%. He’ll probably be out there, but who knows for how long, or if he’ll be effective. Which means more targets for Emmanuel Sanders against a Colts defense that lost their two starting CBs in the preseason, and may have lost two more to injuries from Week 1. Even Matt Stafford was able to carve up this defense. I called him a punt play with upside last week, but now Tajae Sharpe looks to be much safer than that. He grabbed 7 of 11 targets for 76 yards, becoming QB Marcus Mariota’s number one target in Week 1. He’s continuing to build on a huge preseason, and it’s clear that Mariota really believes that Sharpe makes it “makes it easy” on him. Other than Delanie Walker, there’s no one else there, and Detroit is favored by 6, so I can see Tennessee having to pass a lot to get back in this one. Speaking of Walker, he’s by far the most targeted receiver in Tennessee returning from 2015. In fact, his 133 targets in 2015 was the 15th most of ANY PLAYER in the NFL. He only had 3 of 5 for 42 yards in Week 1 against a superior Vikings defense, but the Lions are much weaker in the secondary. 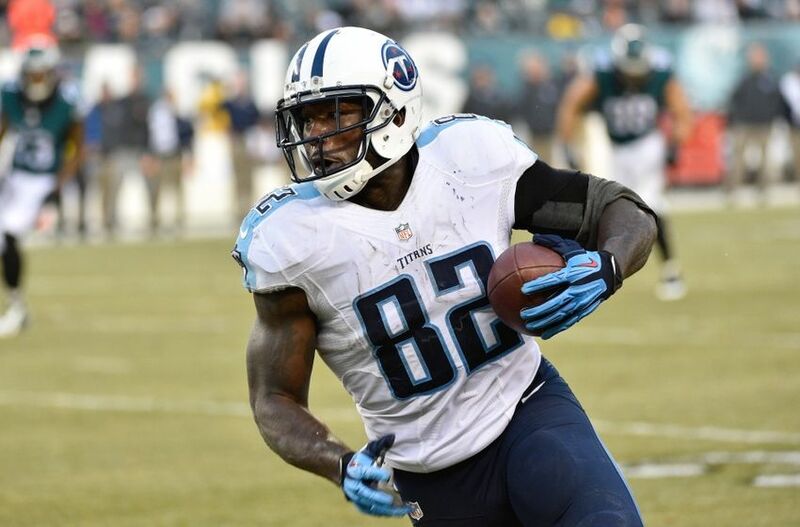 Plus, head coach Mike Mularkey has already said they want to get Walker more involved. I see a bounce back in a big way this week. As I mentioned last week, Gary Barnidge was the second most targeted TE in the NFL in 2015 (tied with Greg Olsen). So how’d he end up with 0 receptions on just 2 targets in Week 1? A crummy Browns offensive line and a below average RGIII. But guess what? Barnidge gets his best friend Josh McCown back under center this week with RGIII on IR. And who was doing all that targeting of Barnidge last year? Yeah, I think you get the picture. We all thought that Jason Witten was done, particularly without best bud Tony Romo. But who knew that Dak Prescott was Witten’s second best bud? Witten caught 9 of a whopping 14 targets for 66 yards in Week 1. Prescott will continue to check down ad nauseum, and Witten will continue to rack up receptions. This game has the lowest over/under of any game in Week 2 (39) with Seattle favored by 6.5. So that means the odds makers think that LA will score about 17 points this week. I think that’s mighty generous in light of the Case Keenum’s epic fail of a start in Week 1 against the 49ers. I anticipate at least two turnovers, a handful sacks and a potential shutout here. The only thing that could potentially mess this up is if Keenum does so poorly that he gets benched during the game. I think Arizona is a way better defense than we saw against the Patriots in Week 1, and I think they’ll be out for blood in Week 2 to prove they’re not that bad. The Bucs just happen to be on the wrong side of that. Jameis Winston scored almost at will against Atlanta, but they had no pass rush and still managed to snag an INT. Arizona will be much tougher, and I can see Winston regressing in this game.